What does a modern teaching and learning facility that is part of a global institution of higher learning need to have to stay in touch with its partner campuses in other parts of the world? The internet of course; no prizes for guessing! But if you were to ask officials at Aga Khan University (AKU) of Tanzania, it is not just the internet, but rather the source of the service that matters. Ever since 2012 when AKU, a private university charted in Tanzania with presence in other countries like Kenya, Uganda, the United Kingdom, Pakistan and Afghanistan, got connected to the Tanzania Education and Research Network (TERNET), collaboration between the university and its sister institutes has flourished, enabling students, researchers, staff and faculty members to share teaching and learning resources in real time and cost-effectively. In Tanzania alone, AKU has four entities; the Institute for Education Development East Africa (IEDEA), the School of Nursing and Midwifery (SONAM), Faculty of Arts and Sciences (FAS) in Arusha and the Medical College (MC). For these entities to coordinate their activities, the availability of a reliable internet provider was fundamental but not easy to attain for AKU. “Before connecting to the TERNET network we were struggling to collaborate effectively with our key partners in other countries; we were getting only 2 Mbps from our ISP then and were paying at least $800 per megabyte per month. Despite the high price, the bandwidth speed was so slow and we were basically lagging behind our partner universities offering lessons to our students. 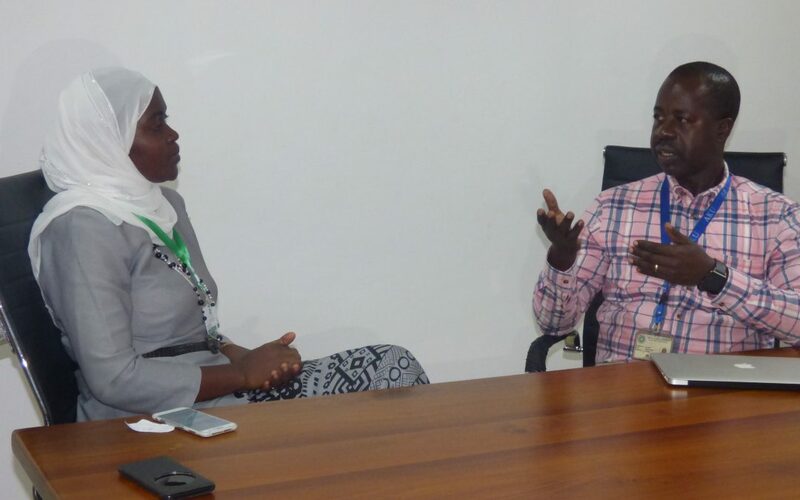 It was also hard for us to reach out to our colleagues abroad,” says Arbogast Fabian, AKU Tanzania IT Manager who has been at the institution since 2011. Now boasting at least 10Mbps of fast, dedicated and reliable bandwidth from TERNET, Fabian testifies that research and education networking and collaboration at AKU Tanzania is no longer the same, as TERNET’s connectivity is seamlessly supporting the university’s IT infrastructure, allowing teachers and students to virtually traverse across universities and collaborate through applications such as Zoom, Skype and Moodle – something completely unthinkable prior to 2012. Switching from commercial ISPs to not-for-profit organisation TERNET has also reduced the bandwidth costs by 90%! Aga Khan University is one of the 67 member institutions of the Tanzanian NREN, a member of the UbuntuNet Alliance which operates the UbuntuNet Network in Eastern and Southern Africa, interconnecting NRENs across the region and to other regional backbones, such as GÉANT in Europe. TERNET got connected to the UbuntuNet network in November last year under the €26.6 m EU co-funded AfricaConnect2 project which aims to create a pan- African research and education network by interconnecting the three regional research and education networks of Arab States Research and Education Network (ASREN), West and Central Africa Research and Education Network (WACREN) and the UbuntuNet Alliance In Eastern and Southern Africa.